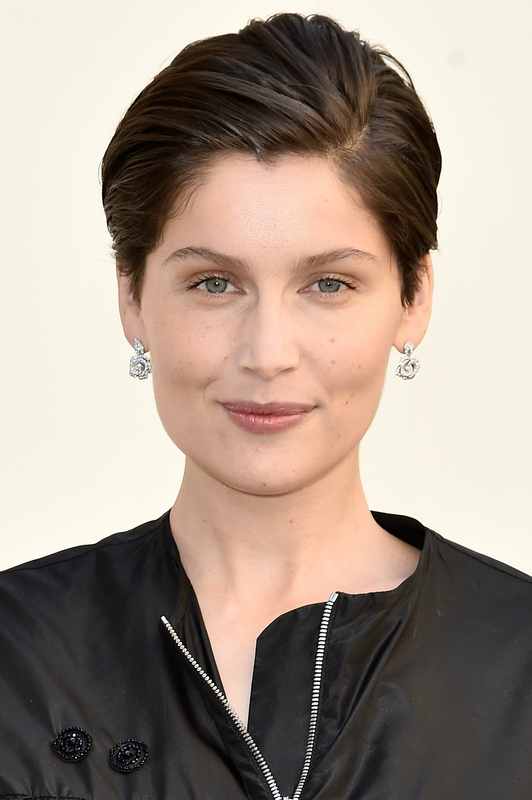 Laetitia Casta = skincare goals. Photo: Pascal Le Segretain / Getty. Anti-aging: when you hit your 30s, a lot of it is accomplished via skincare habits that you started in your 20s, like staying hydrated, cleansing your face at night and staying out of the sun. You should absolutely ramp up your efforts in those regards once you’re in your 30s—and if you haven’t been doing these things, it’s never too late to start. However, there are additional steps that you can take if you’ve been noticing some of the common side effects of aging, like fine lines and dryness. Here are the top five things you can be doing in your 30s to maintain your gorgeous skin. 1. Get a retinoid prescription. The first thing you should do if you want to step up your anti-aging game is start using retinoids. Both prescription retinoids and over-the-counter retinols have powerful anti-aging properties. We really love Peter Thomas Roth Retinol Fusion PM ($65, sephora.com), but if you’re really serious about it, you should ask your doctor for a retinoid prescription—the creams are stronger and more effective. Be sure to start at a low dose first to see how your skin reacts, and always wear sunscreen because retinoids increase photosensitivity. Once you’ve successfully implemented retinoids into your routine, you’ll love how smooth and radiant your skin looks. It can even help out with adult acne and scarring! Lots of women love to use weekly face masks for their skin, and although those can be fun and beneficial, we would recommend investing your time and money in a gentle facial peel instead. If you use the right one, you’ll see improvements in your skin’s tone, texture, and firmness—especially if you’re concerned with wrinkles, large pores, and redness can benefit hugely from regular peels. You can have this done at your dermatologist’s, but if you’d rather do it yourself at home, try Dr. Dennis Gross Alpha Beta Peel ($16, sephora.com). It contains powerful ingredients such as glycolic acid for chemical exfoliation, as well as retinol—which we all agree is a skincare essential. Plus, this peel comes in a two-step wipe form—so you can just just swipe and glow! 3. Use a chemical exfoliant regularly. If you haven’t incorporated any chemical exfoliants into your beauty routine, now is the time to start. Chemical exfoliants are ideal for unclogging pores and removing dead skin, without the harsh abrasion and irritation that comes with rough physical exfoliation. They come in two forms: AHAs (alpha hydroxy acids) like glycolic acid, and BHAs (beta hydroxy acids) like salicylic acid. You’ll have to experiment to see which works best for your skin; BHAs might be best if you have clogged, oily skin, and AHAs might be best if you have sensitive skin. You can combine them by using two different products or a 2-in-1 product like Drunk Elephant T.L.C. Framboos Glycolic Night Serum ($90, sephora.com) , but be careful to protect your skin from the sun—AHAs increase photosensitivity. Don’t be afraid to have a dermatologist zap your face with lasers. Depending on the procedure, it can be quick and relatively painless or more powerful; but either way, lasers can give you some seriously noticeable results. Non-ablative lasers help to stimulate collagen under the skin (which is what you want to do for smoother, firmer skin). This is done without pain, recovery time or side effects (other than some possible redness). Traditional laser skin resurfacing, on the other hand, will sting and take a few weeks of recovery—but it’s very effective because it destroys old, damaged skin and allows new skin to grow. If you’re concerned about fine lines, sun damage, rough skin texture or acne scars, talk to your derm about laser treatments. As we age, our skin naturally becomes drier, so be sure to keep your skin plump and hydrated with daily moisturization. No matter your skin type, you must use a light moisturizer with at least SPF 30 every day—no excuses! First Aid Beauty Ultra Repair Pure Mineral Sunscreen Moisturizer ($30, sephora.com) is a great choice, thanks to its high natural sunscreen content and soothing, hydrating qualities. Plus it wears well under makeup, and doesn’t give darker skin tones that weird white cast so common to SPFs. Don’t stop there, though. When you’re in your 20s you may be able to get away with just a daily moisturizer, but your 30s is a good time to add a night cream to your regular rotation as well—especially if you have dry skin or live in a cold climate. Whether choosing a night cream, look for powerful ingredients like antioxidants (Vitamins A, C, and E and green tea), glycerin, hyaluronic acid, fatty acids, and retinol. Avoid products with high amounts of alcohol (which can dry out your skin) and fragrance (which can irritate), and also try to avoid products in jar packaging because the exposure to light, air, and germs only lowers the efficacy of the product. Murad Essential-C Night Moisture ($65, sephora.com) is a brilliant product, and good example of what to look for. Finally, be generous with your moisturizer. Slather it on before bed, and not just on your face but your hands, neck, and decolletage as well. Your skin will thank you, both today and in the future!